May 29 , by Mardi Robyn. 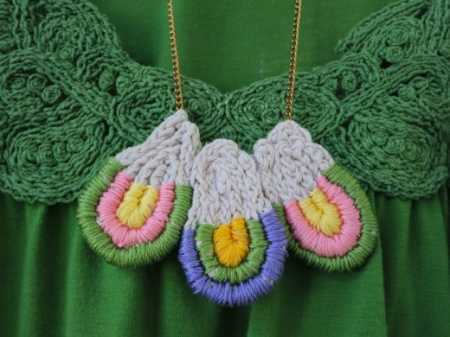 Donna Herron shares with us her pattern for this Knit Loopy Loop Necklace. Donna was inspired to create this bold statement necklace from seeing similar necklaces in stores like Anthropologie and J. Crew. Check out the in-depth tutorial and free pattern and learn how you can create your own Knit Loopy Loop Necklace.